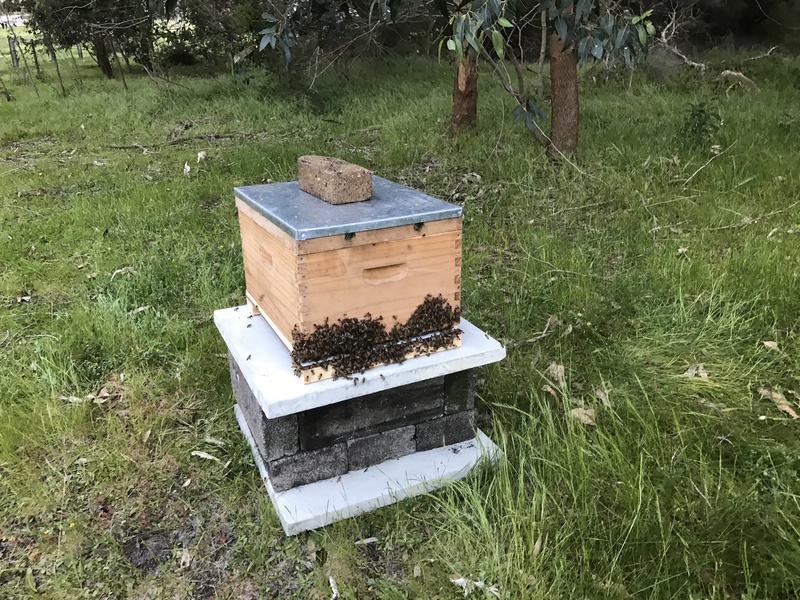 Here in Perth, we have had an incredibly slow, cold, wet start to spring…….. but yesterday was a beautiful spring day, and the day one of our hives swarmed. The weather had been so awful, we hadn’t managed to check the hives for a couple of weeks, and we still don’t know which of our three hives may have swarmed (all look full and active). After some discussion, we decided we would keep it, but locate it down near the orchard and ‘dam’ rather than near the house like the others. We had a spare super, lid and plenty of frames so we just bought a bottom board and we were ready to go! We placed a white sheet under the swarm, climbed the ladder and trimmed the branches around it. It was good to have the white sheet down as quite a few bees dropped in the process. There were two main ‘clumps’ of bees which we carefully placed in the hive box, with four centre frames removed. 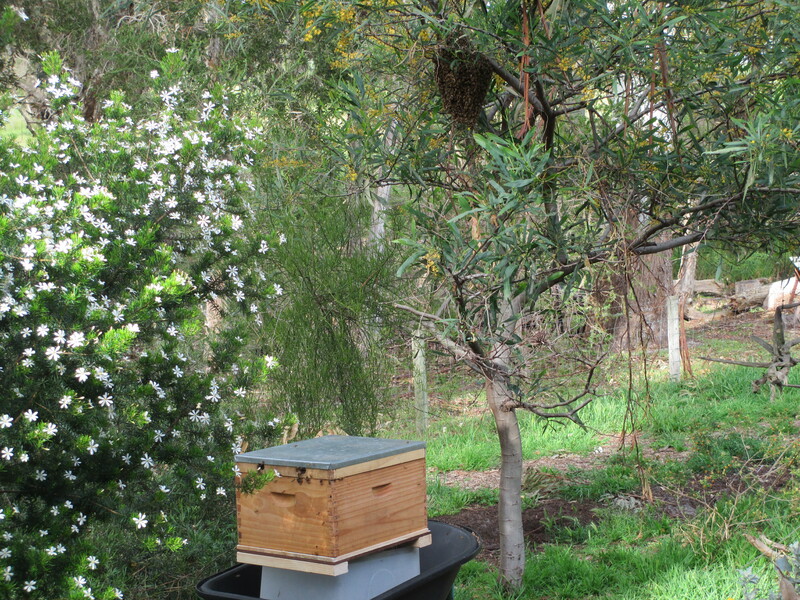 When we felt we had as many as we could, we did a quick shake and placed the lid on, then wrapped up the bees on the white sheet, and took the hive (in a wheelbarrow) to the area we had chosen. It all worked well, fingers crossed the bees like their new home and stay there!